- Made in th U.S.
Vermont Castings are specialised in 100% recycled iron and reused raw materials, like automotive brake drums and rotors which are used to make their wood burning stoves. 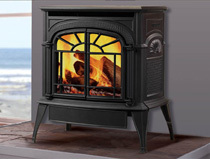 Visit our Vermont Castings Defiant Flexburn Wood Burning Stove page. 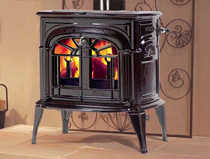 Visit our Vermont Castings Resolute Acclaim Wood Burning Stove page. 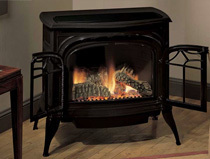 Visit our Vermont Castings Stardance direct vent gas stove page. 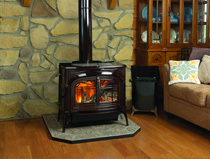 Visit our Vermont Castings Stardance vent free gas stove page. 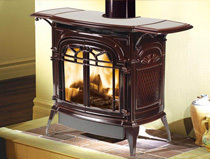 Visit our Vermont Castings Encore Flexburn Wood Burning Stove page. 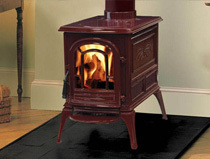 Visit our Vermont Castings Aspen Wood Burning Stove page. 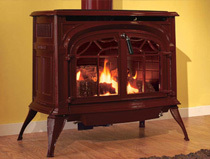 Visit our Vermont Castings Intrepid direct vent gas stove page. 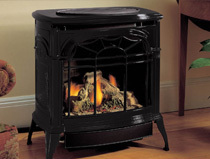 Visit our Vermont Castings Vigilant coal stove page. 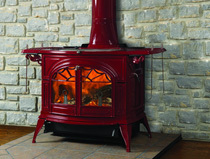 Visit our Vermont Castings Intrepid 2 Wood Burning Stove page. 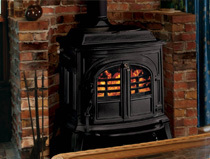 Visit our Vermont Castings Radiance direct vent gas stove page. 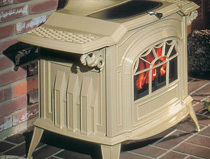 Visit our Vermont Castings Radiance vent free gas stove page.